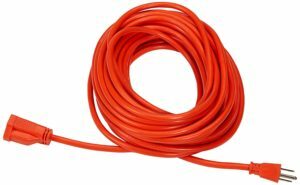 Many folks don’t realize that they may be misusing their handy extension cords. Although it’s very easy to extend the reach of your electronics and power tools, there are a few details many people overlook that can be potentially dangerous to you or your home. 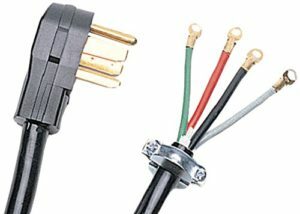 In this article we will outline the common mistakes made, tips to use them safely, how to choose a good cable, and the products we recommend (as well as a few example of what to avoid). 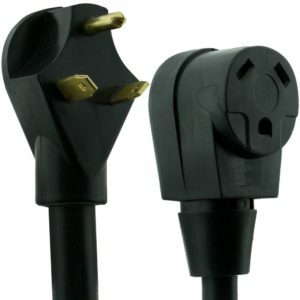 These cords are best used for simple household appliances and electronics such as wireless routers, fans, lamps and other light uses. Some of them may also be rated for outdoor use, although we will get into outdoor specialists further down. Suitable for indoor, household use. Fans, lamps, etc. Suitable for indoor, household use. Fans, lamps, etc. Suitable for indoor, household use. Fans, lamps, etc. 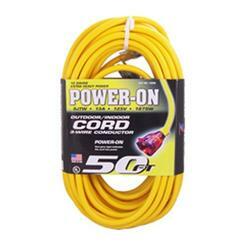 These cords are designed for use in outdoor environments. The insulated casings and plugs are fashioned in a way that will better stand up to the elements and won’t degrade as easily. 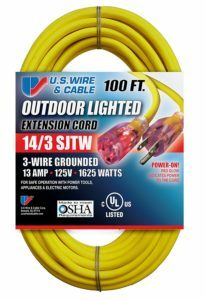 If you are using them outdoors or with larger power tools, you want to make sure you go for a larger gauge wire (~12-14) and a longer cable will be more versatile. Next up we have our heavy duty extension cords. Be sure to also check out the list below of multi outlet cables, which are also suitable for heavy duty use. Because having multiple outlets can increase the stress on the cable, anything smaller than 14 gauge wire can potentially be a risk if you’re not careful. 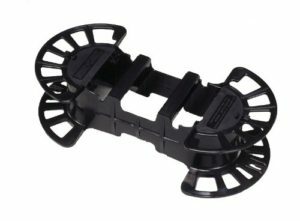 Our list for the best multi outlet extension cord actually only includes a single product, because it is the only one that is heavy duty enough and of proper rating to handle multiple plugs. 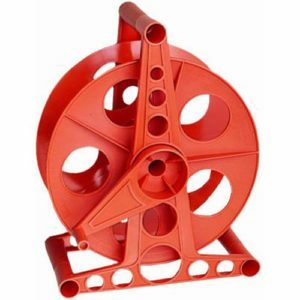 However, it is available in multiple sizes so you can find the perfect length for your uses. If you are looking for a different kind of multi-outlet cable, one with outlets evenly spaced along the length of the cable, this is the best one we’ve found. 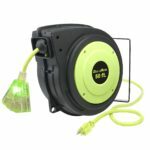 Note: the MasterPlug is not technically a retractable, and belongs below with reels, but we wanted to give you a comparison – maybe you though you wanted a retractable but actually wanted a reel! 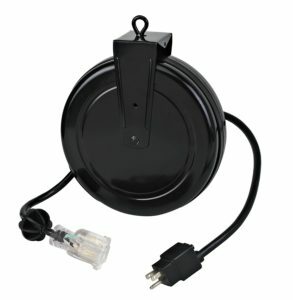 If you don’t opt for a retractable cable, you may be looking for a better way to store your long cables than the typical haphazard spool you usually try to produce. 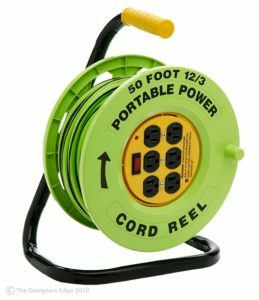 An extension cord reel is a great way to store your cables, and some even function as circuit breakers with outlets built in. Check out our recommended products. IMPORTANT: Remember as we mentioned earlier, to never use any cables while still coiled up. Being coiled up tightly does not allow the heat produced to dissipate and can be an extreme fire/shock hazard. Always extend the cord while in use, even if you don’t need all the length! 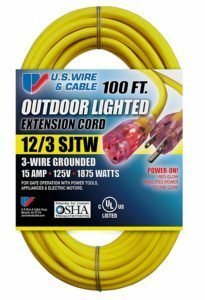 If you are looking for an extension cord with a switch, you’re likely looking to extend the reach of a lamp, light or other appliance you want to easily switch on and off: your Christmas lights or tree, patio lights, They really only make these for household use, with ~16 gauge cable, so if you’re looking for something more heavy duty, you probably won’t find it and will want to keep it to light use only. Check out our recommendations for these super handy extenders. 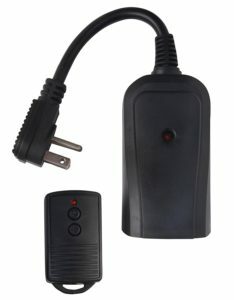 (double prong) 2x outlets on plug (double prong) One remote paired with each base. Cord extends down out of outlet at an angle, to the right Cord extends down out of outlet at an angle, to the right Cord extends down out of outlet at an angle, to the left. We definitely don’t recommend using all three outlets at once, since it just isn’t rated for that kind of use. It’s great to extend the length of a small appliance like a lamp (maybe two), but don’t overdo it. Also available in 6ft and 13ft. 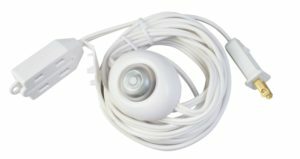 Another great affordable option to extend a small electronic like a lamp (maybe 2) but we wouldn’t push this small 16/3 cable. Note: the image on Amazon is not updated, the new version of this cord has all three outlets on the same side of the end. Also available in 8ft. 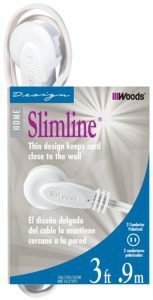 Great option if you need just a couple extra feet of reach for a 2-pronged appliance like a lamp or clock. 16/2 wire is not meant for heavy use and we wouldn’t recommend having two things plugged in at once. For around $3 it’s a great deal. Picture this – you want to stack your washer/dryer, but the dryer cable won’t reach the outlet. Or, you want to renovate and move your dryer but now the cable won’t reach the receptacle. Sound familiar? 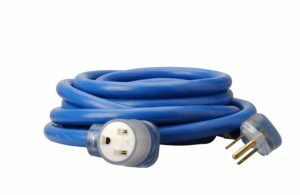 The cables that come with dryers are unfortunately almost always quite small, and many people don’t even realize that a dryer extension cord exists! 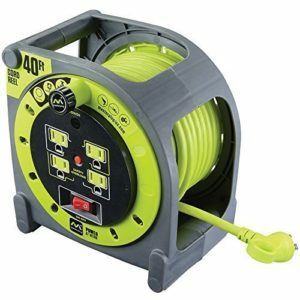 As a result, many folks call their electrician and move their 220V receptacle just a few feet when a new cord would do the trick. 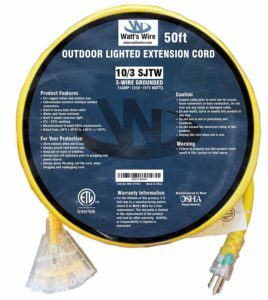 While we typically recommend not using extension cords as long term solutions, these aren’t exactly an extension cord, just a longer replacement cable. It will be important to check if your dryer is a 3 or 4 prong wire. Older dryers run on 3-prong wires, while new dryers are 4-prong. Here is a great guide to convert your 3-prong to 4, if you so desire. Be sure to read carefully, as dealing with electricity is always a safety hazard. It’s also recommended to have an expert install either of these cables, unless you are very comfortable doing so. We take no responsibility for damages or injuries in installing these cables if you choose to do so. 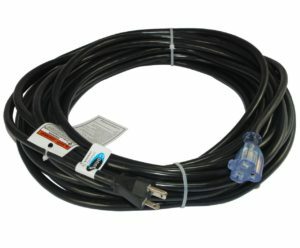 Regardless, we found a dryer extension cord for 3-prong and 4-prong models below for you to check out. Recommended to have an expert install! Unfortunately this cable is only available in a 10ft length. If you have excess cable, do NOT coil it up, but keep it spread out to avoid excess heat production and failure It is recommended to always buy as short a cable as possible, as increasing the length of cable increases resistance. If you do buy a longer cord and have excess length, do NOT keep it coiled up. 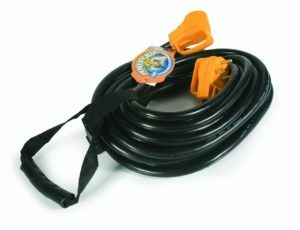 A 30 amp extension cord is a great companion for your RV or camper. When you’re running every appliance in your RV off of it, it needs to be heavy duty and handle a ton of current; hence the 30 amp rating. Plus, if you have a 25-50ft additional reach, you don’t have to worry as much about where you park your rig! Overall, these cables are godsend and you’ll wonder how you ever lived without it. Here’s the three we recommend, you’ll notice they are all very similar, and they all do a great job. You can’t go wrong between any of them, and we suggest just seeing which is priced better at the moment. 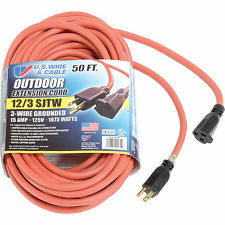 If you don’t have an extension cord for your welder, you are severely limiting the size and versatility of your workspace. 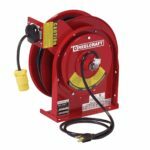 Because a welder draws so much current, these cables need to be thick and heavy duty, and luckily we’ve found the perfect one. You can even find other uses for this cable like certain air conditioners or electric vehicle chargers. Check out the great features of this heavy duty cable. Overall, a great heavy duty cable! 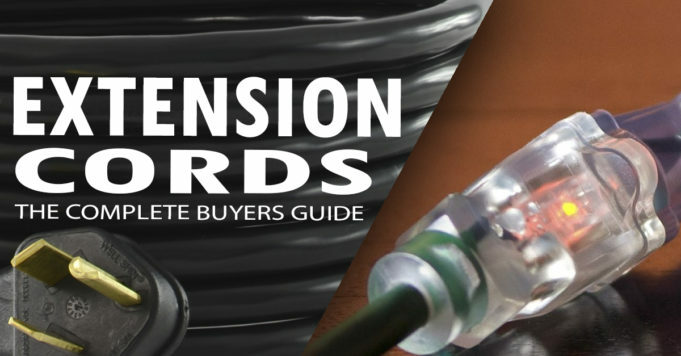 There are a few things to consider when buying extending cables. Primarily, the most important thing is to ensure you are using a cable with a proper amps/amperage rating (current) for whatever appliance or tool you will use it with. Electrical current, or the rate of flow of electrical current, is measured in amps. As you would expect, a small appliance like a lamp draws much less current than a power tool like a reciprocating saw would. 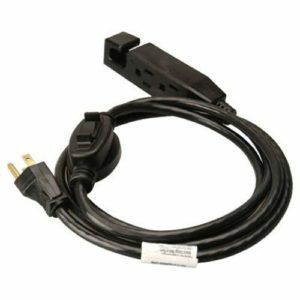 You may also notice that the appliance or tool you are you using through your cable doesn’t produce quite the same amount of power it does when plugged in directly to your wall outlet. This is because wires have a certain amount of resistance and as current runs through a wire, the electrical energy dissipates as it travels down the length of the wire. A longer wire will then have more resistance, and a thicker gauge wire will have less resistance. 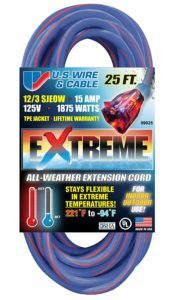 In addition, this dissipated energy is e xpelled in the form of heat, which is one reason why the cables are surrounded by an insulated jacket. However, mis-using a cable can cause an excess amount of heat, producing a fire hazard by damaged the insulation. 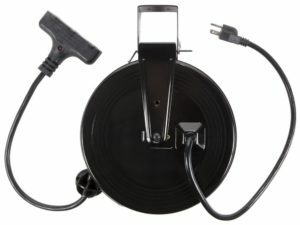 An example of mis-use would be using a cable that isn’t properly rated for the amount of current your tool is drawing – like using a 15 amp tool with a 10 amp extending cable, for example. The insulation can melt or crack, causing faults, shorts causing shocks or fires. Always make sure the cord is properly rated for your use. So, for what we know now about resistance and wire thickness, with all other things being equal, it’s better/safer to use a shorter, thicker cable than a long, thinner one, both in terms of performance and safety. How do you tell if a wire is thicker or thinner? They are measured by “gauge” and it’s actually a little counter-intuitive. A thinner diameter wire will have a larger gauge (ex. 16 and greater), while a thicker diameter wire will have a smaller gauge (12 and smaller). Many folks use 16-gauge cables in their homes, however they are likely too thin for your uses. Gauge is measured in the unit AWGs, or American Wire Gauge. 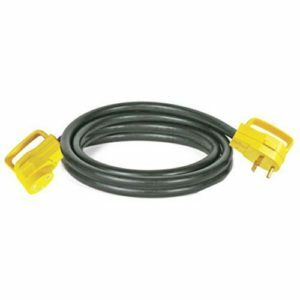 Although smaller 16-gauge cables are cheaper, they often won’t be able to handle the power you need to feed through them and will have lower amperage ratings. These cables are often the cause of residential fires as a result of them failing, due to the large amount of resistance and heat produced. If you’re going to be extending a low-energy appliance like a lamp, then 16-gauge is probably fine. But we typically recommend 12-gauge or thicker cables since they can handle the electricity from your home’s outlets long-term, and are more versatile, since you can use them safely with larger tools and appliances. However, they are larger and heavier. 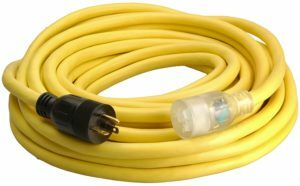 Often, when you’re looking to buy an extension cord, you’ll see several ratings such as the length in feet, maximum amps or voltage, or numbers like “12/3” like this one. The first number is indicating the wire gauge, and the second number is telling you how many wires are within the cable. So a 12/3 cable means that there are 3 wires combined in the cord, each with 12 gauge thickness. Now that we know the effect the length and thickness of wires has on your tools and safety, let’s see how it affects what cord you should choose. 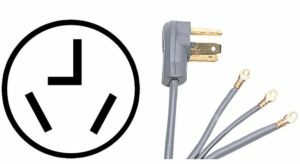 Here is a rough list of amperages for some common appliances you may need to be using with you cables. You can find the amperage of your tools or appliances on the safety label. 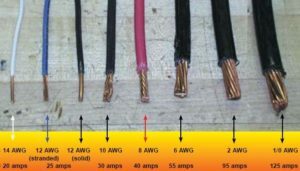 Once you’ve decided the amperage rating you will need, you can use the handy table below to estimate the length and thickness of cord to choose. 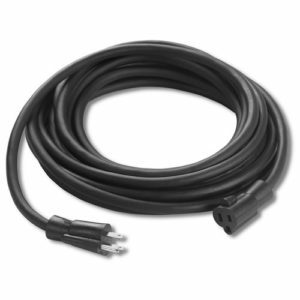 Again, we like to get a cord with length and amperage rating greater than what you may need since it will meet your potential future needs – but that’s just us. There are numerous ways that people unknowingly misuse their extension cords, though some are more potentially dangerous than others. 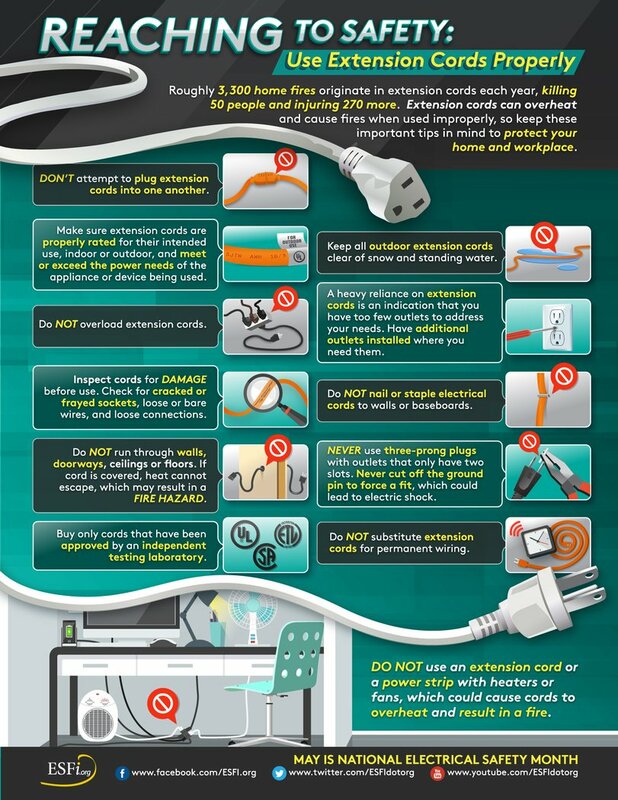 A full list of common mistakes can be found here, put together by the Electrical Safety Foundation International. Regardless of the gauge of wires or the materials, they are not permanent solutions, as they are not designed to handle the amount of electricity that your home’s electrical system can. Only use products that have been approved by an independent testing organization such as UL, or CSA. Never cover a cable while using it, either with a rug, under the floor or in a wall. The heat produced from the electricity cannot escape, producing a massive fire risk. You should also neve r coil the cord tightly while in use for the same reason. Never use a cable with a lower wattage rating than the tool/appliance you are using it with. People often use too small gauge of wire. While 16-gauge wires are certainly more affordable, the thinner wires can’t handle the same current as a thicker 12-gauge wire can. Never try and use a 3-prong cable in a 2-slot plug or remove th e third prong to do so. This is a safety feature that when unused can be a serious electrocution and fire hazard. If you need to use the one outside, be sure to keep the ends dry to avoid electrocution. 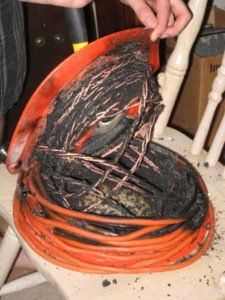 Most outdoor plugs are GFCI outlets that should prevent this, but best to be safe. Also never store a cable outside as moisture could penetrate the cable or the coating could be damaged by animals or other means. The ESFI suggests that you should only use a single appliance with a single cable, to avoid undue stress to the wire. Remember to check out the full list of safety tips from the ESFI, or check out this handy infographic. Now that you know what size of cable to look for, and how to safely use it, let’s take a look at the products we recommend. 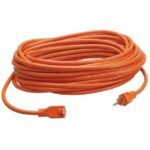 Q: How do I safely store my extension cord? A: Really, there are numerous ways to store them. You can wrap them around a reel, hand coil them, stuff them in a tangled mess into a bin, it’s up to you. Although, you should never cover it with a rug or coil it up while it’s plugged in and in use as this can be a serous fire hazard. 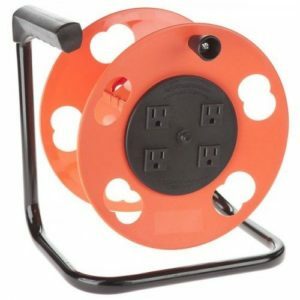 Q: Can you plug a surge protector into an extension cord? 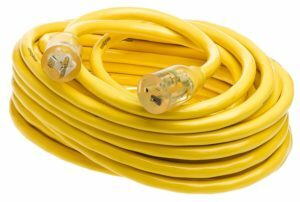 Q: What gauge extension cord do I need? A: The exact gauge of wire you need varies on various factors, including what tools and electronics you are going to be using with the cable, and what length of cable you need. 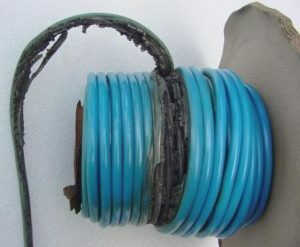 In general, we suggest getting a larger gauge wire (12+) so that it is safer and more versatile. This is a handy guide to roughly estimate the gauge you need. 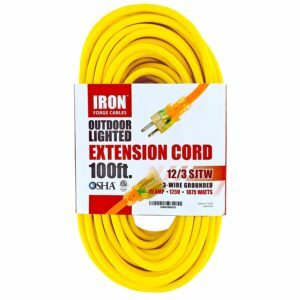 Q: How to wrap an extension cord? A: If you don’t get a reel like the ones we suggest above, the video below demonstrates a great way to wrap up longer cords. Tired of your cable’s end coming unplugged from your tool when you come to the end of your reach? 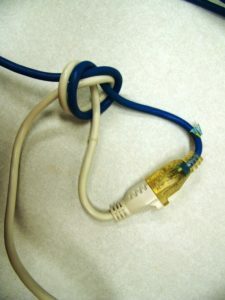 Try tying the ends of your cords like this to prevent it from happening! Did this article help you find the right product? Is there something missing from our list you want us to add? Drop us a line in the comments below, we love hearing from our readers! Disclaimer: Due to the dangers that electrical equipment can pose, ShedHeads is not liable for any damages or injuries from advice taken from this article. The material and information contained on this website is for general information purposes only. You should not rely upon the material or information in this article to undertake any projects you are not qualified to do so. Whilst we endeavor to keep the information up to date and correct, ShedHeads makes no representations or warranties of any kind, express or implied about the completeness, accuracy, reliability, suitability or availability with respect to this article or the information, products, services or related graphics within it for any purpose. Any reliance you place on such material is therefore strictly at your own risk.